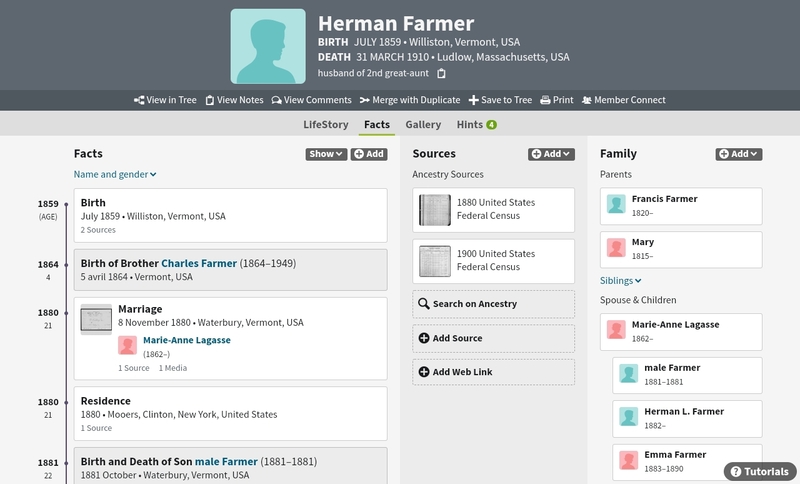 Herman Farmer was married to Marie-Anne Lagasse who was the youngest daughter of Stanislas Lagacé and Onésime Cadieux. I could not have written that in 2007 the day my brother visited me with old pictures. 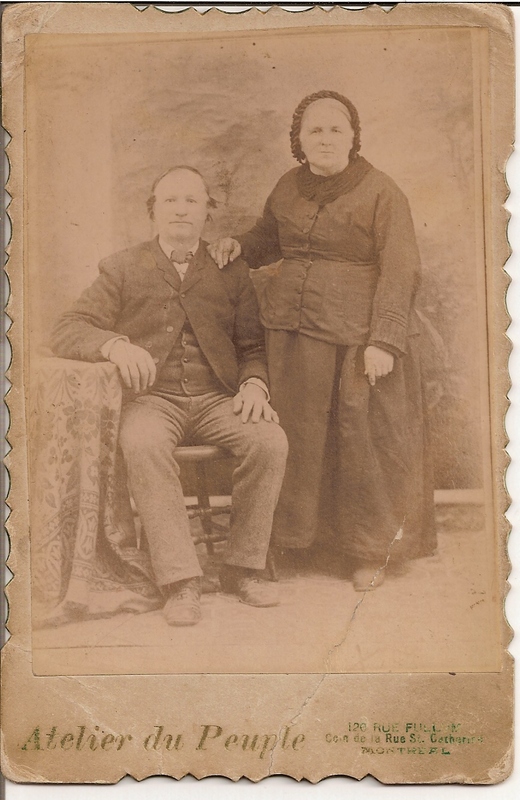 I was mesmerised by what I was seeing for the first time, a photograph of Honoré Sauvé and Julie Leroux, my maternal great-great-grandparents. 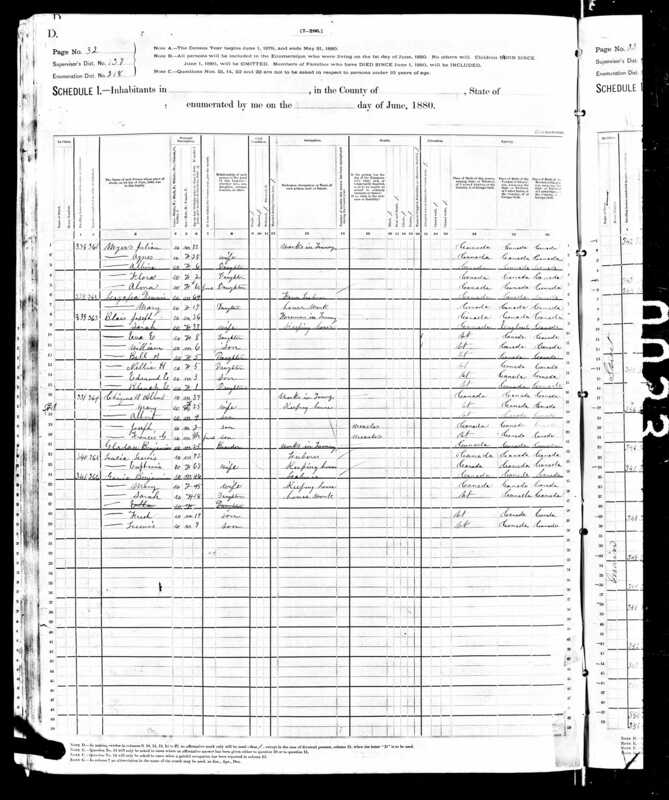 Little by little I have travelled through time on the Internet and finally found Stanislas Lagacé in the 1880 U.S. census living with his daughter Marie-Anne. The names were wrong but I knew I had found my great-great-grandfather. 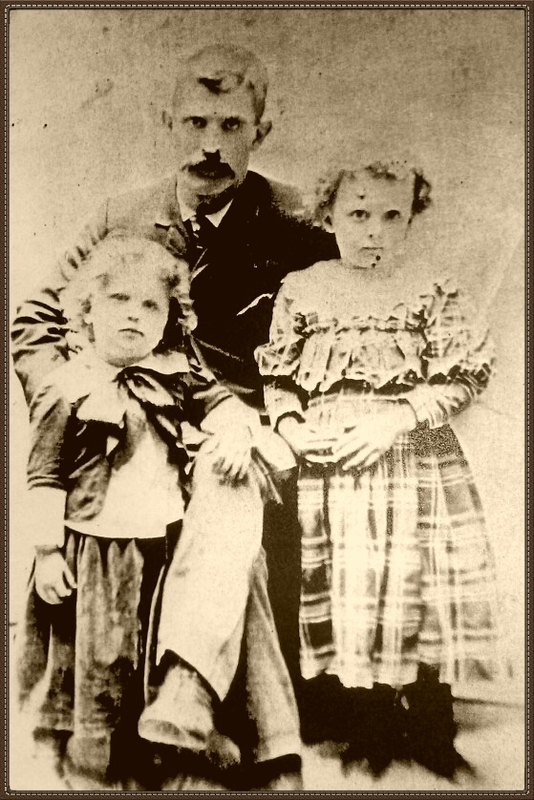 I still don’t have a photo of Stanislas Lagacé to feature on Our Ancestors, but I features many of his son’s, my great-grandfather Dennis Lagasse seen here with two of his grandchildren Harvey and Rose. Stanislas Lagassée was born on February 16, 1816 according to his death certicate. 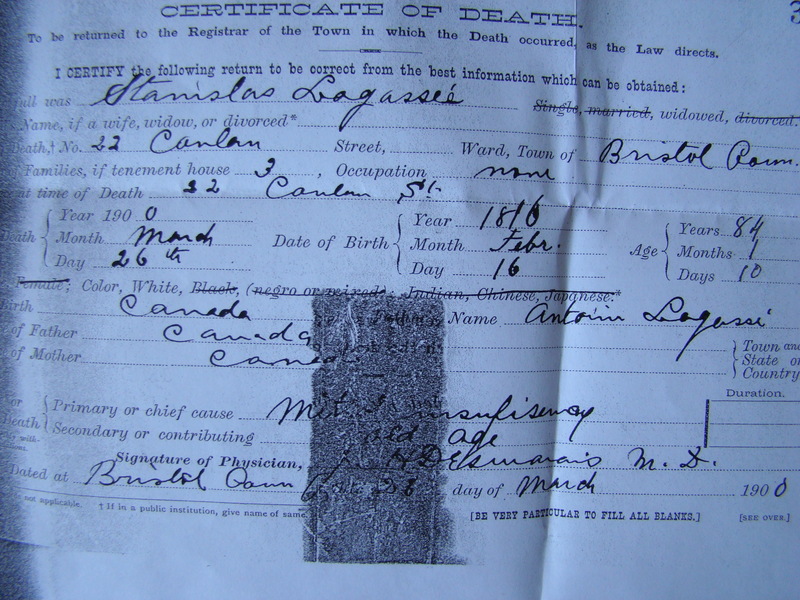 I found his baptisimal certificate which validates the date. One day I might see a picture of him through a descendant of Herman Farmer and Marie-Anne Lagace since Marie-Anne was still living in 1940 in the home of his son-in-law Romulus Robillard who had married to Dora Farmer. Writing about Herman Farmer and Marie-Anne Lagace’s descendants is the only chance I have to one day having someone contacting me like Dennis Lagasse IV did in 2011. 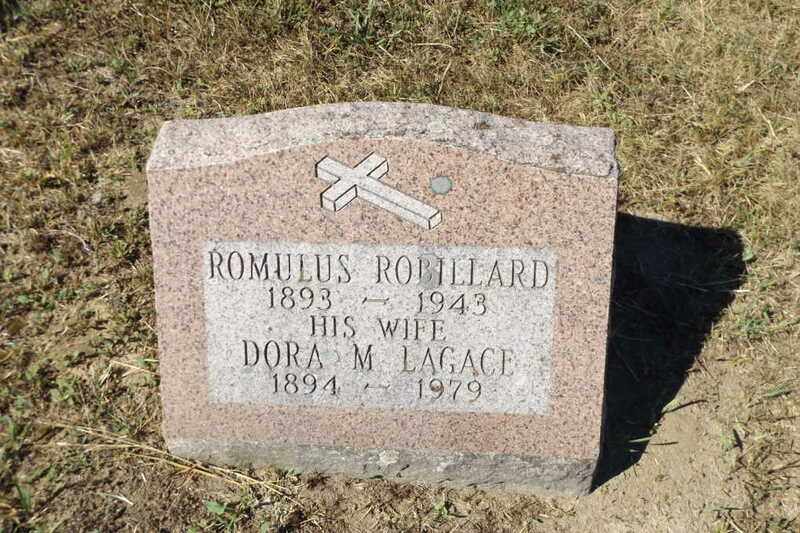 So who was Romulus Robillard?